UFO SIGHTINGS DAILY: Winged Creature On Mars In NASA Curiosity Rover Photo From Feb 2016, Photos, UFO Sighting News. 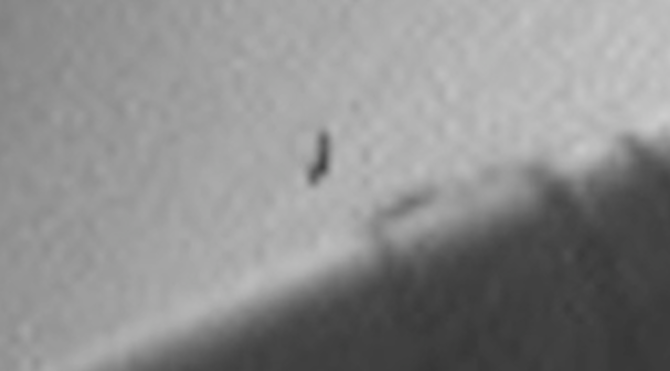 Winged Creature On Mars In NASA Curiosity Rover Photo From Feb 2016, Photos, UFO Sighting News. 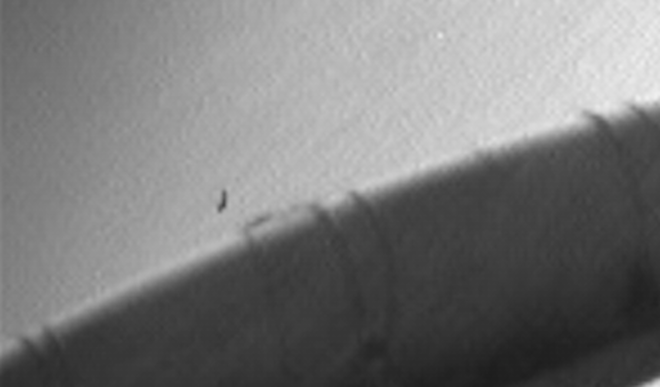 While looking over Curiosity rover photos, I found an anomaly in one that resembles a winged creature. 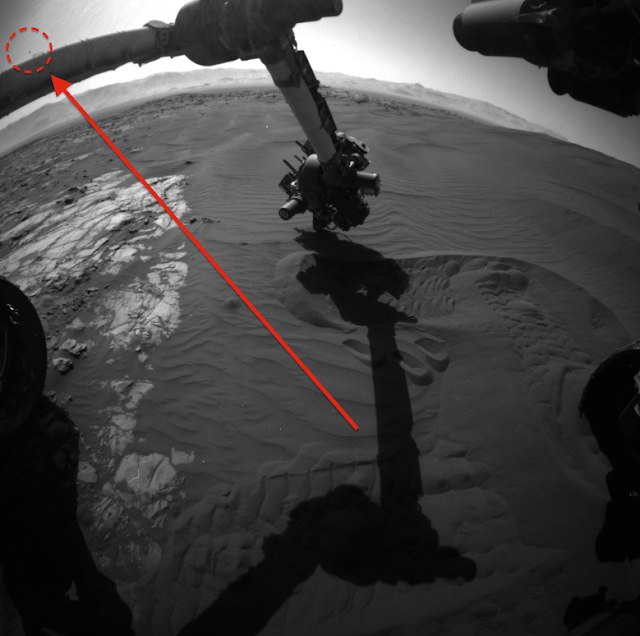 The object is near the arm of the rover so it was overlooked by the NASA photoshop staff. When enlarged it does resemble a large bird creature in the distance. Does this mean the rover is on Devon Island in Canada or does this mean there are many types of life currently on Mars? Its a baffling question, one that NASA will never talk about. I have looked at this NASA rover blog for over 2 years and know that this is not a glitch in the camera and is not any known dust on the lens. There are such things, and I do know about them, however, this is a one of a kind discovery. If it were a glitch, we would see it daily.